‘Too late, I just had the last ring doughnut!’, my greeting comes from Ray Welton; Head Brewer and main-man at Welton’s Brewery, Horsham. It’s Friday the 14th of March 2014, one of the first sun-filled days of Spring and I’ve navigated my way to an open-fronted unit at the back of a business park in Horsham, taking up invitation to meet the team (we’re joined by second brewer Alex and seller Wayne) and have a chat about their beers. Welton’s has been on this site since 2003 but Ray has been brewing as Welton’s since 1995- initially setting up in Capel, Surrey- his first beer being North Downs Bitter. Operations were moved to Arundel Brewery and then a site was shared with Hepworth’s just over the track (all 3 of Horshams breweries are located next to the railway line) until the current unit was acquired. The brewery has grown to be a firm favourite within the local beer scene, selling both bottled and cask beers to pubs in Sussex, Surrey, London and further afield- they’ve recently had customers in Europe taking delivery of their most famous and best-selling beer Pridenjoy, their 2.8% ale that Roger Protz included in his ‘300 beers to try before you die’ claiming it to be a ‘Most remarkable beer’. A trip to The Three Crowns at Wisborough Green with Wayne for a well pulled pint of this and I can taste the appeal- it does have flavour more akin to a 3.5- 4% beer. This is all down to Ray’s ability to design beers, brewing the flavour into the ale rather than just watering down a stronger version. The desire to brew sees Ray designing many new beers and he’s not afraid to try new things, whilst there I got the chance to sample an ingredient that he’s been using when he wants his beers to have an extra kick- Grains of Paradise- a West African seed normally added to tagines and stews that has a remarkable warming peppery quality. This zeal for quality ingredients (which has seen visitors occasionally walking in on Ray with a spent Hop bag on his head) sees Welton’s now brewing six regular cask ales and releasing multiple specials every month- such as 6 beers produced to celebrate the Six Nations and Green Wood Horse to celebrate the Chinese New Year, with around 17 different beers being brewed each year and a bottling production that also sees a cider being added to the line-up. The brewery itself is a collection of kit acquired in a magpie-like fashion by Ray from many a source, seeing the potential in second-hand tanks and equipment that he has fixed-up and put together to create a truly bespoke, custom brewery that is the most efficient for his space and way of brewing than any kit can be. The steam powered kettle, for example, re-uses all the steam that it produces. 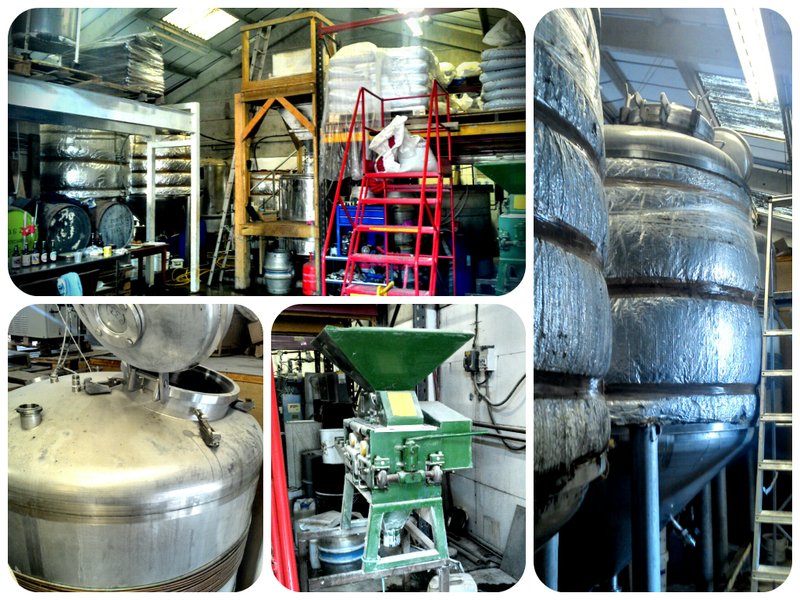 This environmentally friendly vibe spreads throughout other aspects of the brewery too- the forklift truck is powered by old cooking oil, collected from the pubs they supply with their beers and then refined, put through a bit of kit, again hand-built by Ray. The local water is untreated, the hops are collected straight from local sources by Ray himself and all their beers are as natural as possible- no additives, no aids, no preservatives. 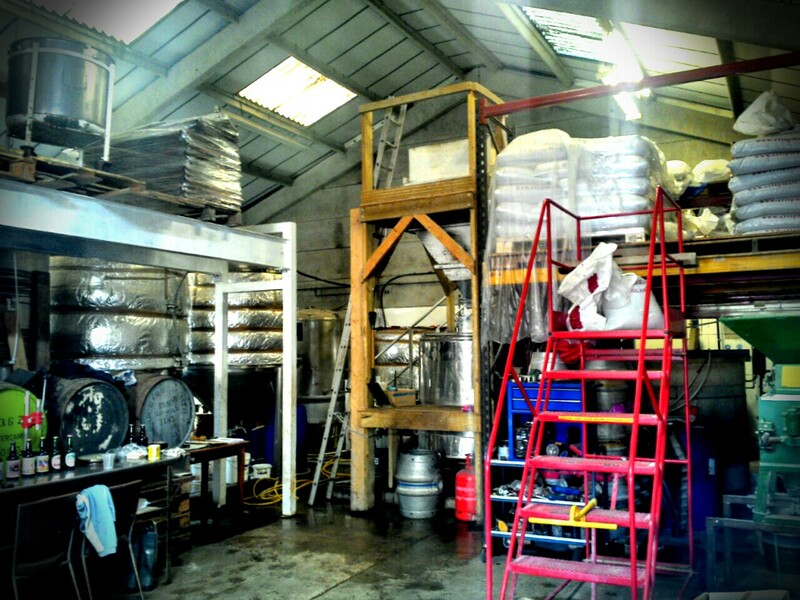 As we chat it’s clear how passionate these guys are about brewing, about their beers and about pub culture in general. Full of stories about their first days in the business, about designing beers specifically to suit particular pubs clientele and the odd places where the equipment was found. You could listen to them talk for hours whether you’re a beer fan or not, such is their enthusiasm and jovial nature, tinged with rugby player banter and bar room humour- a humour that is very much the fifth ingredient in their beers. Wayne is determined to get as many people as possible drinking their beers and it seems that big things are on the table for the team, with talk of many future events, collaborations and experiments (to include some barrel ageing in popular Whiskey distillery barrels) and a new drive to market themselves, something that has perhaps gone against them in the past. But, the future seems bright and with Alex being brought up as the next generation to brew it seems Welton’s are very much set to be the Pridenjoy of Horsham brewing. Interesting summary – I’ve always taken against Weltons due to the hectic conveyor-belt of ‘weekly’ specials (they may have been more frequent, but it’s impossible to judge). It seemed pointless to seek out one of his beers, as there was pretty much no chance you’d never see it again. It’s good to hear that they may be calming down a little. Did once go to a gig at the brewery – the stage in front of the tanks was quite a spectacle. It was ***ing cold, however, which slightly took the edge off things. Hi Paul, thanks for commenting. Interestingly enough, I’ve heard others express a similar opinion. I can see why too- I’d very much like to try Dr French’s Remedy again but it may never happen. I believe it was all born from needing to fill the guest spot at pubs on a regular basis. On the flip side, their method does seem to be working for them and I like the openness to explore new recipes.